For the past 20 years, Kimberly has been providing trauma-informed, culturally responsive services with at-risk and traumatized youth and families, foster youth and their families of origin, foster parents/kinship caregivers. Kimberly has 20 years of building and maintaining collaborative partnerships with county social services and community-based non-profit agencies and service providers serving socio-culturally diverse, vulnerable, oppressed and low-income youth and families. In 2013, Kimberly left direct-care and began providing community-based education and program consultation that promotes awareness, learning and development with birth and resource parents, service providers across multiple sectors, and educators. 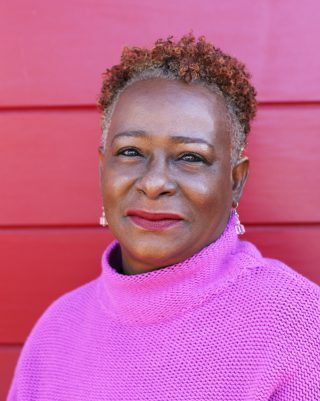 Kimberly’s areas of knowledge and experience include: trauma-informed care/practice/policies; gender-specific needs and services for girls of color; the intersection of race, gender, sexual orientation and trauma; multigenerational trauma within the African American Community; practices of cultural accountability, cultural humility and cultural responsiveness when working with youth and families in non-profit service provision; addressing implicit bias and microaggressions in the workplace and with service delivery; racial equity and inclusion in systems and non-profit organizations; educational equity; and multicultural organizational change and development. Kimberly earned her B.A. in Psychology from Mills College, Oakland CA and completed my M.A. and PsyD in Child and Family Psychology from the California School of Professional Psychology at Alliant International University, Alameda, CA.